Vacancy Announcement at Pakistan Embassy College Beijing (PECB) in Beijing Cities. Pakistan Embassy College Beijing is a Government Organization which requires employees for Teaching Jobs in cities Beijing. 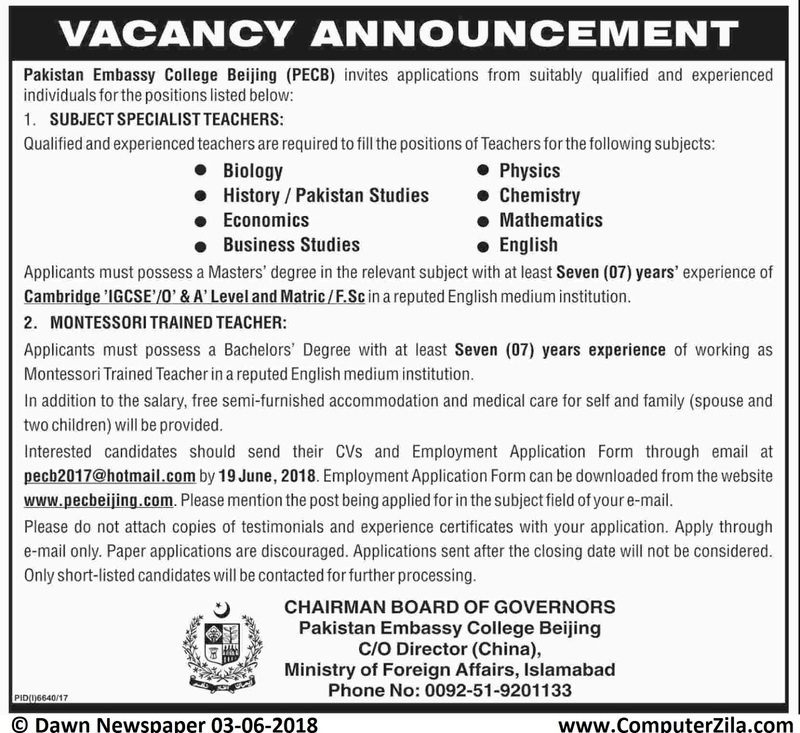 Jobs Offered at Pakistan Embassy College Beijing (PECB), PECB invites applications from suitably qualified and experienced individuals for the positions.